Bless Rebel Wilson’s little heart. 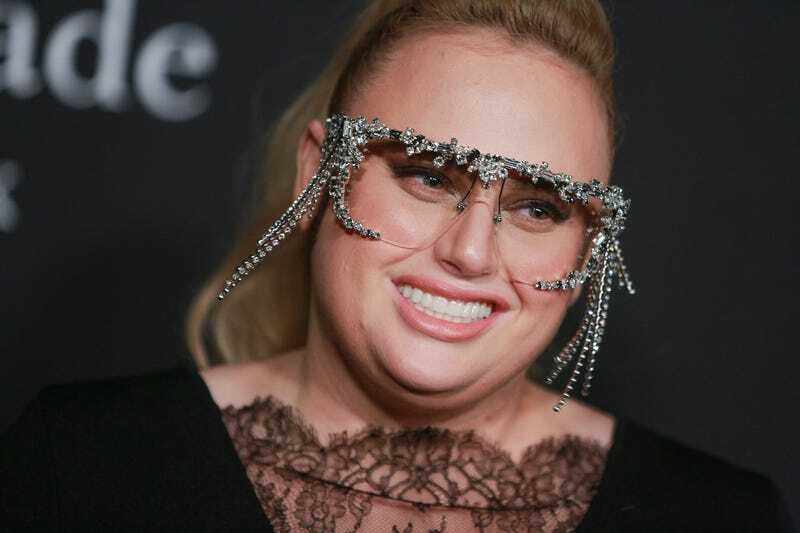 In an effort to talk up the trailer for her upcoming movie, Isn’t It Romantic, Rebel Wilson claimed to be the “first-ever plus-sized girl to be the star of a romantic comedy” on both Ellen and Instagram. Fans of Queen Latifah and Mo’Nique were quick to point out the obvious inaccuracy of that statement. Queen Latifah starred in the 2006 rom-com, The Last Holiday, alongside L.L. Cool J, while Mo’Nique’s Phat Girlz came out the same year. Yesterday, Mo’Nique took to Twitter to make sure Wilson brushes up on her history before she makes any more claims about breaking rom-com barriers. And instead of just saying sorry for misspeaking (or nothing! ), Wilson continues to belabor the point, though she did add, “It was never my intention to erase anyone else’s achievements,” right before referring to playwright Claire Willett, who also took to Twitter to voice concerns, as “honey,” which, maybe, don’t do that. The film, which also stars a Hemsworth and Priyanka Chopra, doesn’t come out until Valentine’s Day, so we’ve got four more months of this to look forward to!